Mafia III is one of my most anticipated games of 2016, and that’s almost entirely due to the work of the marketing team—the people behind the trailers, in particular. I year ago, I never would have expected this to be the case. I’ve never played a Mafia game, and I’ve never really had any inclination to. They always just looked like off-brand Grand Theft Auto clones to me. Then, just shy of a year ago, 2K announced Mafia III with one of the most intriguing, captivating trailers I’ve seen for a game. More like a film trailer than that of a game, it did a remarkable job of setting the tone and style of the game. It gave away little in terms of plot, and nothing at all about “gameplay”, but that’s what made it so captivating. Beyond just being a great piece of short-form cinema its own right, it made me excited about the possibilities the game had to offer without letting me feel like I knew what to expect. The new live-action released today makes a similar achievement. 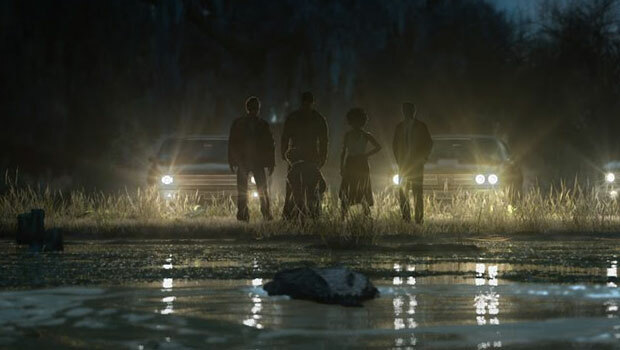 Sure, almost a year of press for Mafia III means we know a lot more about the game now, but the new trailer captured the same sense of curious awe that the first one. It revealed so much in terms of tone, style, and setting, but hardly a tease of plot or gameplay, reviving the excitement I’d originally had for the game. Other publishers could learn a lot from Mafia III’s marketing campaign. As a general rule, I hate trailers, but that’s only because I’ve gotten so burnt out on how banal and prescriptive they are. “Gameplay trailers” offer lifeless vertical slices showcasing the mechanics of the game at work, “story trailers” deliver a plot summary with some cutscene snippets mashed together. Game trailers tend to just lay the cards on the table—”this is what is in the game”—without making any effort to make me interested or curious about the game. If it’s a genre I like, say a JRPG, this will probably be enough to get me interested, but it’s not achieving anything that the accompanying press release isn’t already doing. A well-designed trailer, like those of Mafia III, can foster interest in a game where there previously was none. The poorly-designed ones that are so common simply pull back the curtain, at best reaffirming the interest of people on board and at worst discouraging would-be fans who see something they don’t like. The worst offenders—the Assassin’s Creeds and the Destinies of this world—beat the marketing drum so hard that I want nothing to do with them before the game’s even out. There’s a place for those more prescriptive trailers, and certainly demand for them—God knows we heard enough “But what do you do?” around No Man’s Sky’s press cycle—but even then, they can be done well. Mafia III‘s had its share of such trailers, but even then, there’s a sense of mystery and intrigue to them. Instead of simply laying out the foundations of the game, they hint at what to expect while leaving plenty of stuff. They make me want to play the game so that I can discover what it’s about, instead of just telling me what to expect. Mafia III certainly isn’t unique in this regard—Batman: A Telltale Series and No Man’s Sky have been similarly intriguing in their marketing—but the new Mafia III trailer is a welcome reminder of how rare such trailers are. Maybe the game will be garbage. Maybe it’ll be a soulless Grand Theft Auto clone with no identity of its own. Maybe it’ll crassly use racism to seem edgy and “mature”. Maybe the characters will be flat, the mechanics poorly designed, the story weak. But I’m hoping it’ll be the next Sleeping Dogs, a game that used the GTA formula to push the boundaries of crime drama in games. I’m hopeful about this because the marketing has teased the possibility, with excellent trailer design and without overplaying its hand. I’m hopeful, and I’ll be there on day one to find out.